It's been FIFTEEN years since T.I. dropped his debut album I'm Serious (take a minute to stop feeling old...). And since then, the Grand Hustle capo has been on a meteoric rise to fame. No one could have guessed back in 01 that the rubber band man would not only make it on the big screen, but also star in a successful family reality show. While we patiently await his 10th LP, The Dime Trap, the self proclaimed king of the south blessed us with a second single. The single Dope credits the good Dr. [Dre] with the production, and features Marsha Ambrosius on the vocals. The G-funk heavy instrumental samples Aaliyah's Rock The Boat. The video uses the west coast vibe as inspiration as it takes place in the year 2020 in LA. Tip flows with a melodic cadence that fits the track like a glove. The layed back bars compliment the DNA of the instrumental and begged to be blasted in your whip with the windows down. 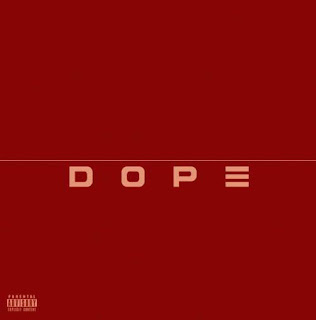 So while we might not be getting that "spring-summer" time feel from the weather (at least not in the DMV), Dope provides the perfect track to kick start those good vibes. Peep video below. And just in case you can't peep video (since it's on Tidal's player), I am attaching the single on YouTube.